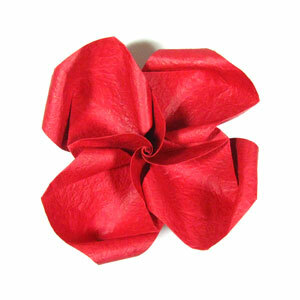 Curl outer edge of all petals. Once again, this is the Pretty Rose that you just completed. Click Here if you want to go to the first page of this instruction. 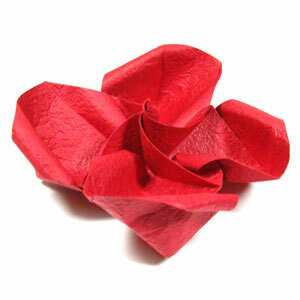 Now, you have completed making Pretty origami rose paper flower (Easy Origami Rose IV).